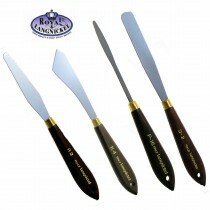 Palette knives are an essential artist painting tool for use with oil and acrylic paint. A palette knife can be used to produce shape and texture in the paint on the canvas or help mix the colours of acrylic or oil paints. 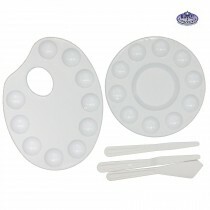 These tools are a must-have for any student artists working in thick mediums. 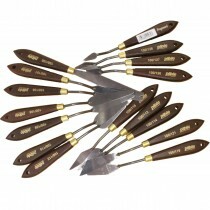 We pride ourselves on having a large selection of brands, shapes and sizes of painting knives. 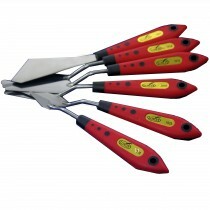 We have crank handles, angled knives or spatula painting tools. 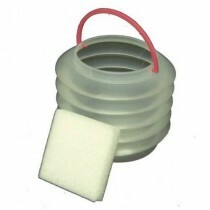 Small or large, different shapes at our best possible prices.